You've got your VCO's running with your sequencer, your drum modules are locked in with your clock. Everything is patched as it should be and it is sounding great... or it should be. Hooking up your patch to your output means your wonderful music can heard by all. The Befaco Output is a simple output module. It takes in a left and right in and sends it to a stereo output. It's great for connecting to headphones or speakers and has enough amplification power to send to massive PA systems. 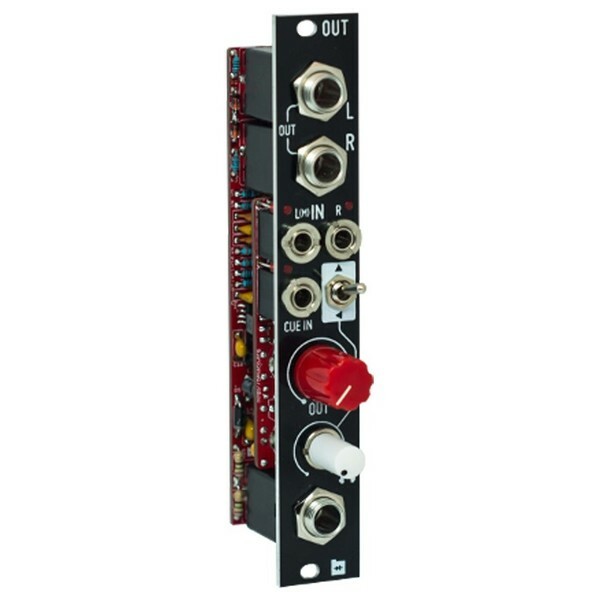 The output module is a necessity, and the Befaco Output fulfills this need brilliantly. The new, powerful output module from Befaco is designed to be the last stop on your signals modular journey before it enters the big wide world. It's slim at only 4hp and has an extra Cue input so you can monitor any signal. It has L and R inputs, but if nothing is jacked into the right then it takes the left as a mono signal. With a flick of a switch Output turns that mono signal out to a stereo signal. The Befaco Output has a headphone output too and this can be used to route to your Cue switch. On the stylish aluminium front panel you will find 3 LED for a visual representation of the signal. 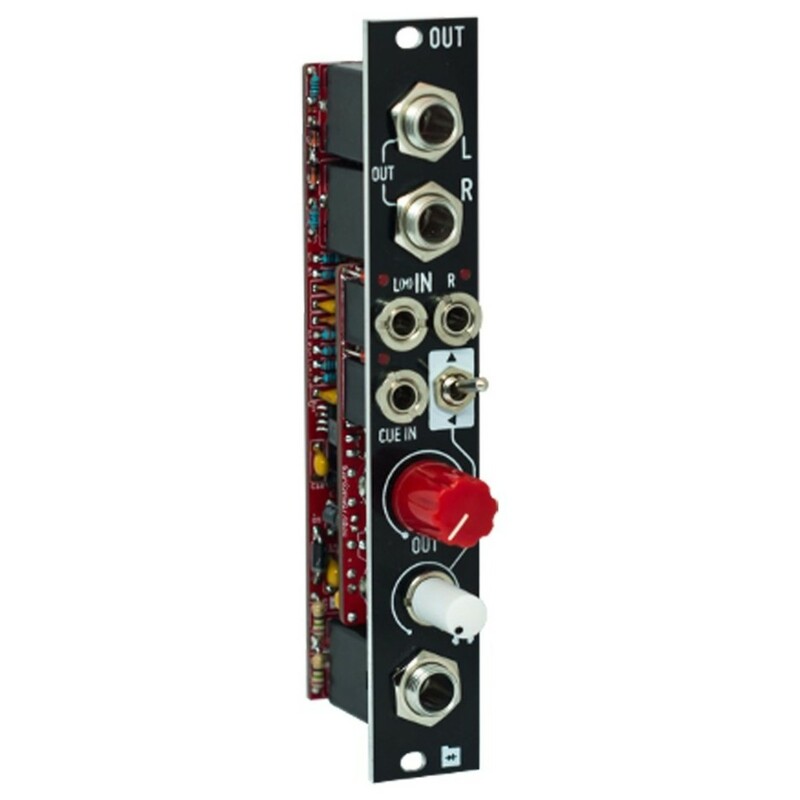 The output module is simple but necessary, be sure to get one that won't let you down. The Befaco Output is great and will handle everything you throw at it.